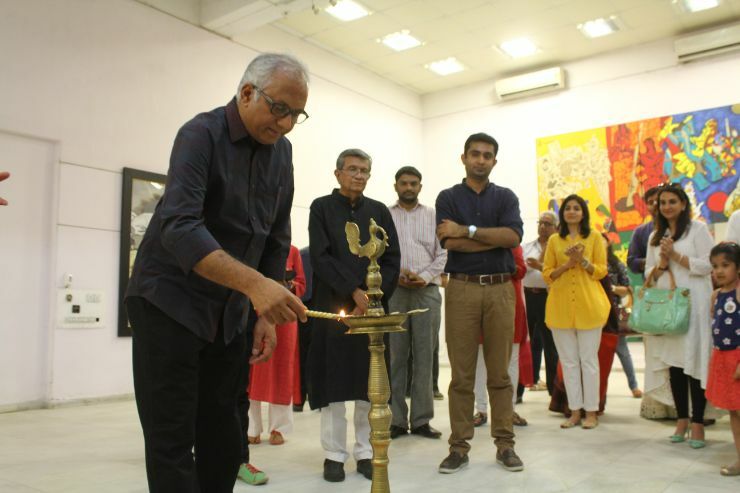 Hutheesing Centre of Visual Arts and Archer Art Gallery have associated together to put up an exhibition to tribute M.F. 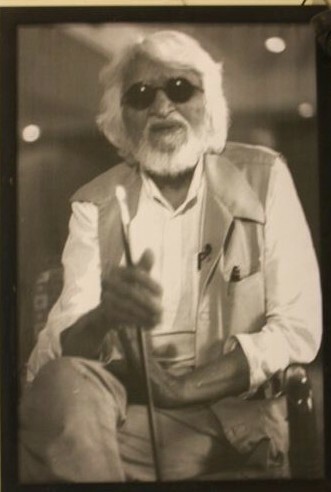 Husain in his centenary year. 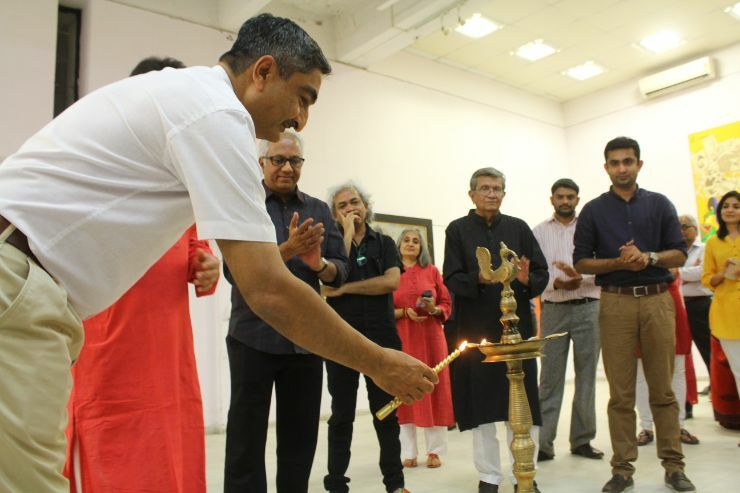 There could be no better place to pay tribute to Husain than Hutheesing Centre of Visual Arts – the very place where maestro exhibited for the first time in Ahmedabad, decades ago. 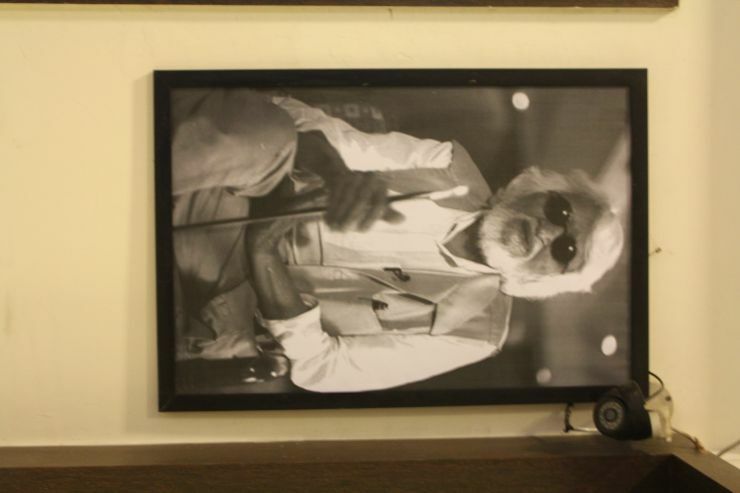 Maqbool Fida Husain – a filmmaker, designer, painter and a sculptor, needs no introduction in Asian Art Fraternity. A distinction he shares with no other artists from Indian Subcontinent. 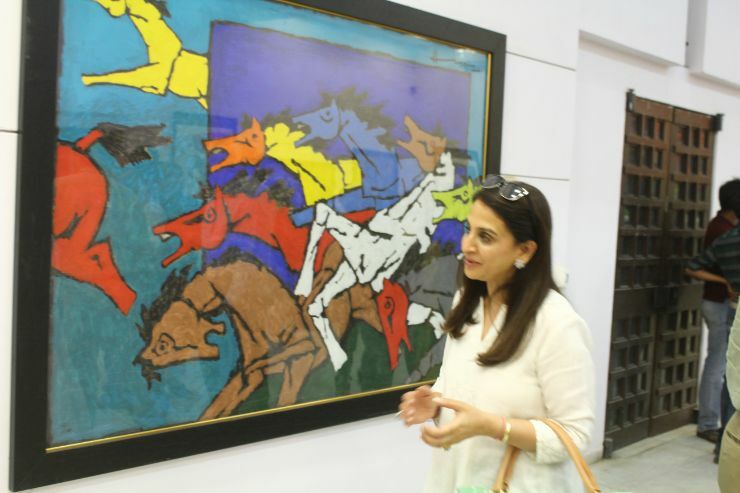 Husain – a man of jagged lines, whose artistic career spanned for seven decades, has touched upon numerous of themes and experimented with several of styles and techniques throughout his life time. 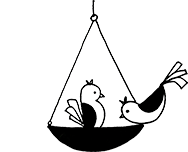 Known for fusion of cubism and German expressionistic language with the palette of Indian mythology and symbol-adapted from Gupta and Chola sculptures, and drawing inspiration from miniature painting. 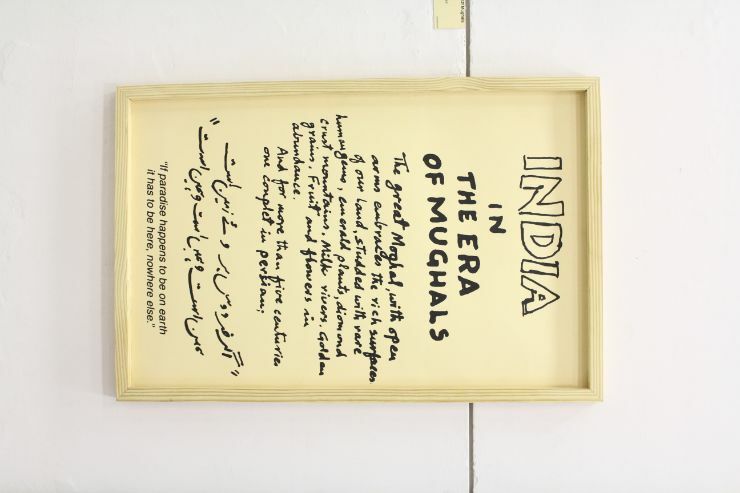 He was a member of Progressive Artist’s Group (and discovery of Souza as some might put) – group which was known to promote Avant-garde movement widely across India after Independence. He has contributed a lot in the development of modern Indian art. 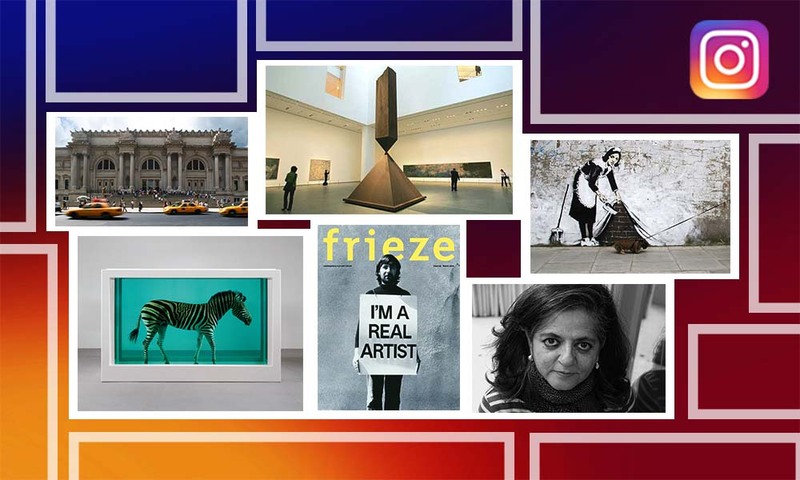 He is infact one of the strong and important pillar of India’s Modern Art History. His art is undoubtedly contemporary, conforms to an international artistic language and yet endowing it with a touch of Indianness. 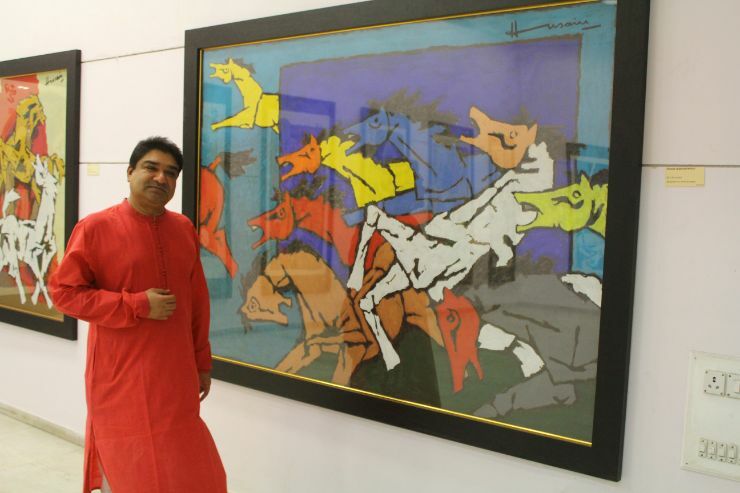 In this exhibition Husain’s exclusive serigraphs have been exhibited. 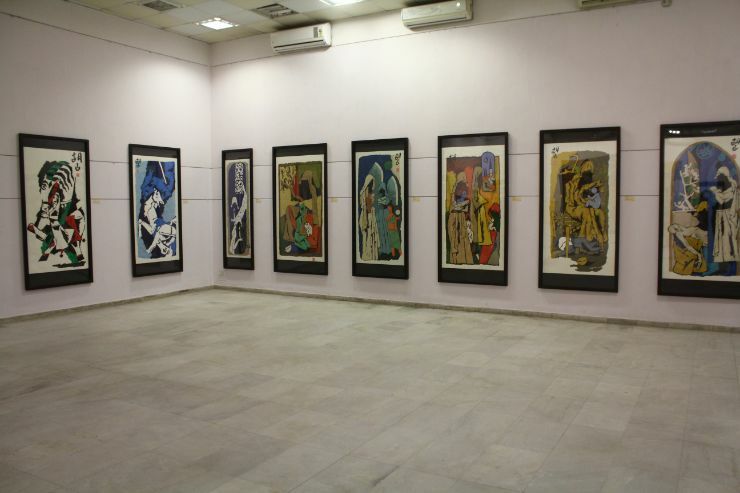 Around 19 life size serigraphs have been exhibited from artist’s different and rare series. 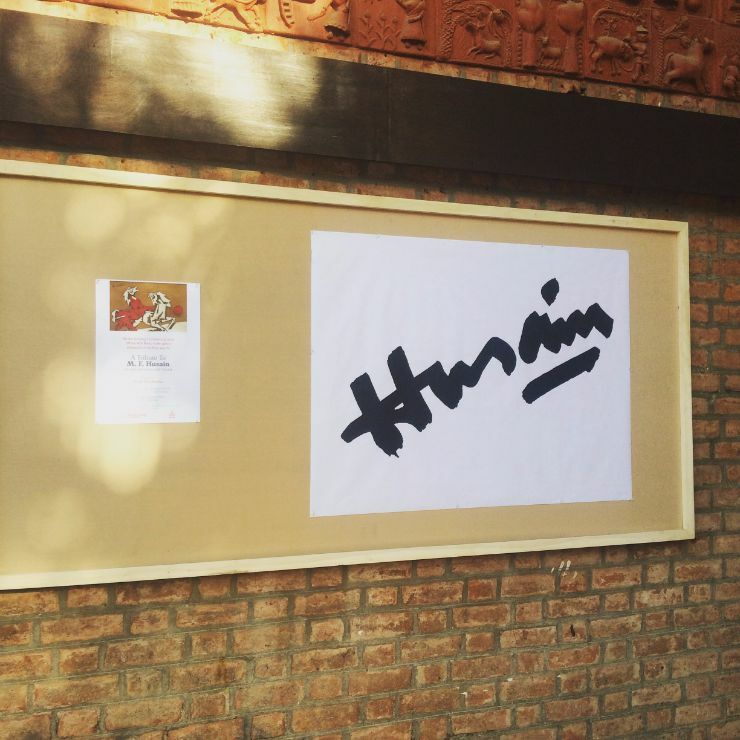 One that he made during his visit to China in 50’s and bears his signature in mandarin is a first time display. 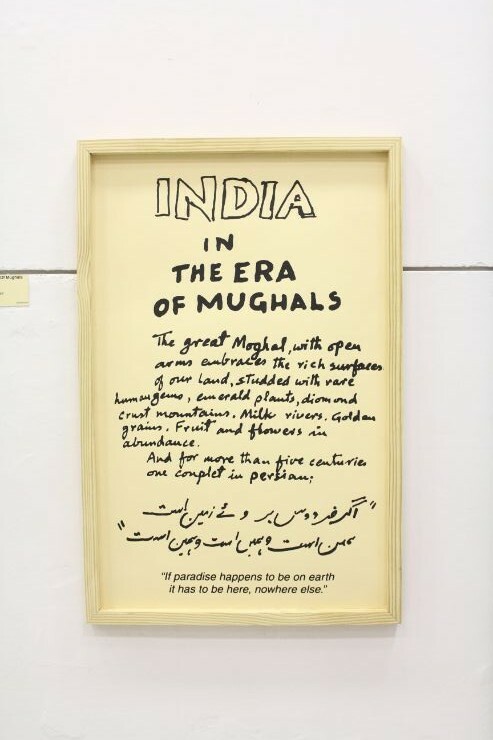 The must see attraction from the entire display is the majestic compilation of six canvases to create one grand art piece titled ‘India in Mughal era’. 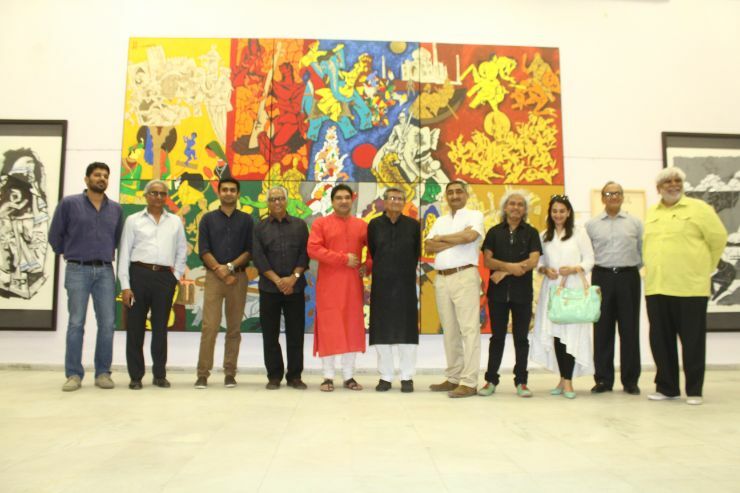 Husain’s majestic ‘India in Mughal Era’ with organisor’s and artists in foreground. Some of these serigraphs have never been exhibited before. These works are more than apparent in his extensive oeuvre. From this exhibited serigraphs one can get an idea about his application of paint and the brushing in of colour with thick, bold strokes which resonances with Expressionistic tradition and his iconic sculptural quality produced by shifts and breaks. This is a unique opportunity for the city to come and witness the master in all his grandness. 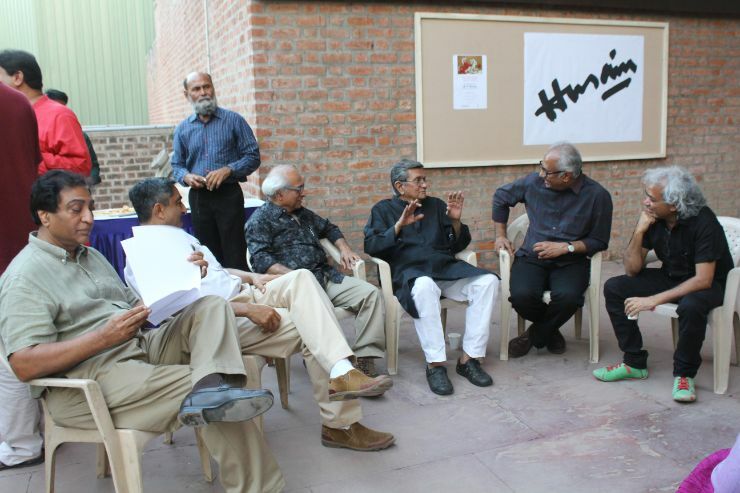 During the inauguration, Anil Relia and Amit Ambalal were fondly sharing their personal experiences with Husain, and the connect that he had with Ahmedabad. Knowing his deep rooted connections with the city, it is apt that a tribute show is hosted by Ahmedabad. 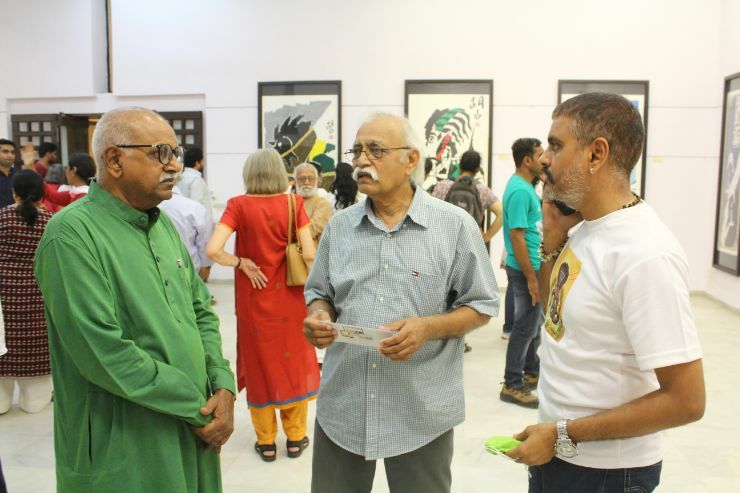 The exhibition was inaugurated on Saturday, 5th of March, by veteran artist Shri Atul Dodiya in the presence of Umang Hutheesing and Anil Relia. 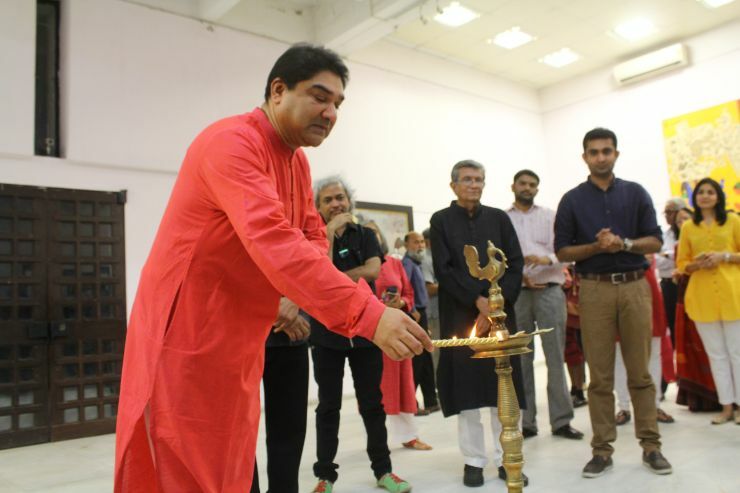 Inauguration saw in attendance a great number of audience including known personalities and artists like Sonal Ambani, Amit Ambalal, Walter D’Souza and many others. 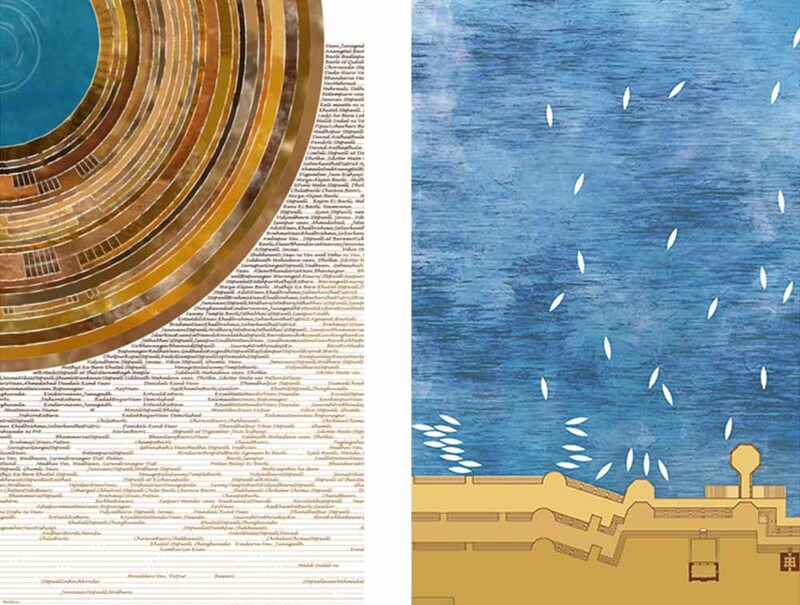 The exhibition will be open till 15th of March, all day between 4 to 8pm. And it is open for all. 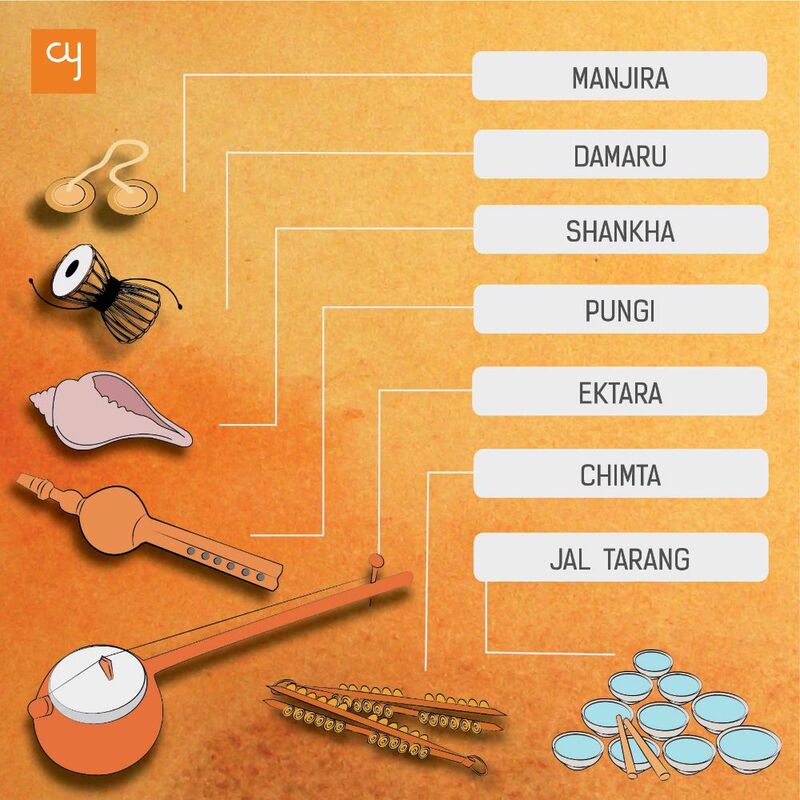 A top CY recommendation for all our readers. 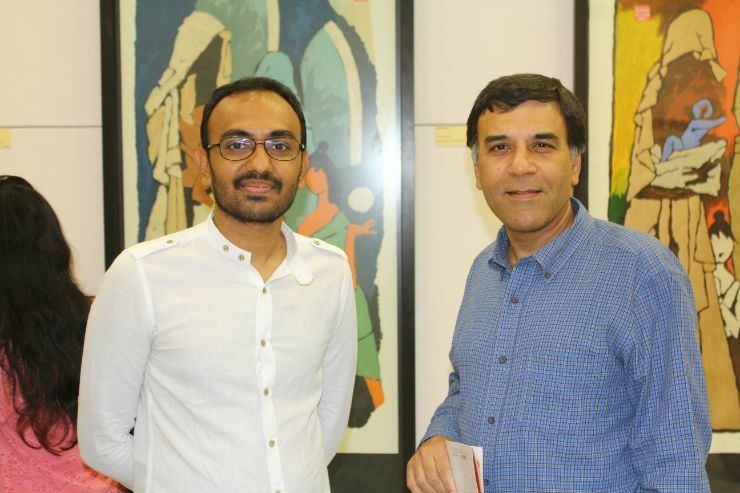 Creative Yatra’s Content Curator Mihir Gajrawala and Chief Patron Dr. Amit Shah at the show. Shri Umang Hutheesing in the gallery. 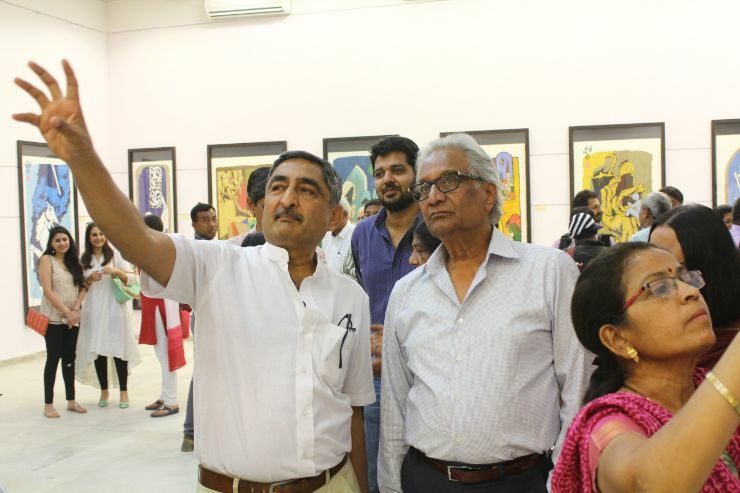 Shri Anil Relia explaining the work to an appreciator. Shri Bharat Panchal, Shri Amrut Patel and Shri Kalpit Panchal discussing the works.